In recent years, there have been more and more apps targeted at specific diagnoses. During our app trials and reviews we have found that many of these apps are, in fact, wonderful resources for people with specific disabilities. 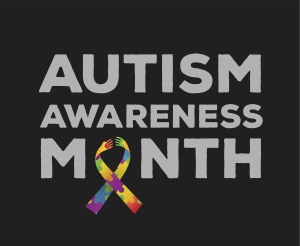 However, we have also found that when choosing apps for individuals with diagnoses like autism spectrum disorder it is essential to focus on skills—rather than age, diagnosis or developmental level. Below we have listed some of our favorite apps for autism spectrum disorder. And, be sure to check out our newly updated full list of Apps for Autism. 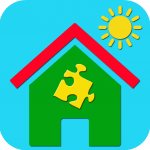 Birdhouse for Autism is an excellent app that offers caregivers the ability to track behaviors, health and daily living tasks of children diagnosed with ASD. Parents raising children with ASD designed this easy to use web and iPhone/Android application. Once an account is created and setup is complete on a desktop or laptop, the caregiver can access the activity timeline on the mobile app, which contains categories such as sleep, moods, food, therapy, meltdowns, and bathroom activities. This app also stores information on medications and supplements as well as doctors and therapists. As data is entered, it becomes easy for the caregiver to isolate and compare as well as find patterns of behaviors. Identification of patterns then assists the caregivers to determine what is working in the child’s daily schedule as well as what needs to be changed. Avaz – Help Kids With Autism Speak | Free AAC App For Autism is an augmentative communication app for non-verbal children with autism. Avaz’s user interface is designed to make speech therapy more effective, develop a user’s language, and improve his/her intent to communicate. The Lite version gives the user a 7-day free trial to use the app and access to its 15,000 symbols. This free trial may help a therapist, teacher or parent see if it meets a particular child’s needs before having to purchase the entire app. The complete app can be subscribed to for $9.99 a month or purchased for $149.99. 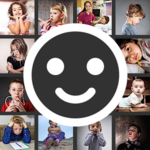 ABA Flash Cards & Games – Emotions app presents over 200 pictures of 13 different emotions. Each picture is easily recognizable and customizable. 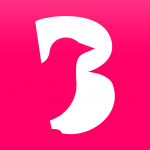 You can also add your own pictures and record your own voice to make this app more personal. This is an excellent app for presentation of emotions in pictures. The many levels of play help the student move from listening to reading of the words. This is an excellent app for presentation of emotions in pictures. The pictures loaded are of children and the emotions are easily recognizable. The many levels of play help the student move from listening to reading of the words. A happy smiling face gives the student feedback when he answers correctly. iTouchiLearn Life Skill Autism Visual Schedule is a wonderful tool to introduce the idea of independence and reinforce life skills with young children. The app offers a nice number of features without being too overwhelming. Initial set up will need to be done by caregivers. Upon opening the app, users will be asked to create a profile a student or child along with a caregiver to ensure that nothing is modified without permission, which can be deactivated in settings. 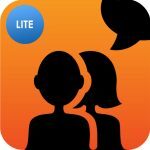 iTouchiLearn Life Skills Autism does a wonderful job of consolidating visual schedules, reward charts, and schedule related social stories all in one app. See our full list of Apps for Autism. We have also found many other developers that have wonderful apps that are not designed specifically for individuals with autism, but are engaging and motivating to users with autism. Check out apps by Toca Boca, Duckie Deck, My PlayHome, and Oceanhouse Media.